SBAC and PARC problems used to test CCSS are challenging and often draw upon context unfamiliar to students. This means students must navigate the content, problem solving and deciphering context. 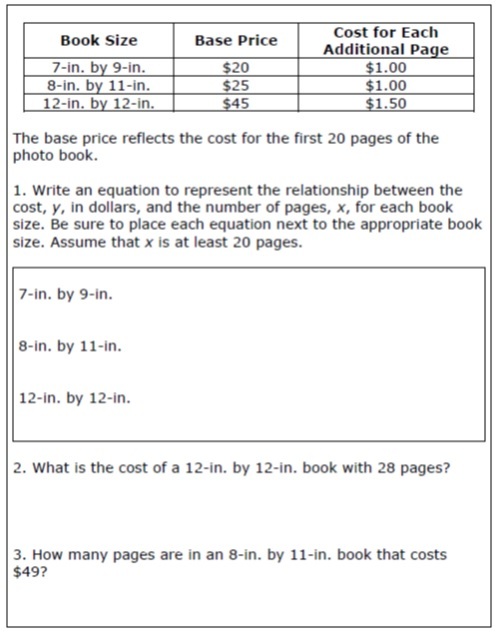 Below is an SBAC problem dealing with photo albums…PHOTO ALBUMS. Do kids today understand this? In the subsequent pictures you will see the work of one of my students on handouts I created that develop an understanding of the SBAC problem – note the “x-2” at the end. The idea is to shape their ability to do such problems.